Notice the deformation in the pipe. This is what causes power loss. Anyone can bend a pipe like this in their garage at home!!! Note the uniformity of the pipe throughout. We are the first and only shop with a mandrel bending machine in R.I. The first thing we have to do is familiarize ourselves with the various parts of the exhaust system. As we go over each one, we'll look at the trade-offs involved and design our system. Then use the checklist below to select your parts for each component and order everything. After you have assembled everything, call the shop and make an appointment to get the work done. It is recommended that you print out this guide to take with you when you have the work done. There are three main sections of the exhaust system. For cost and weight considerations we will be using aluminized piping. In areas where a lot of salt or other corrosive is used on the roadways, this may not be an appropriate material. In those cases, stainless steel is usually the way to go but be aware that it costs more and is heavier. The Downpipe: This section runs from the bottom of the O2 housing to the catalytic converter ("cat"). It is the only component with a sharp angle bend therefore it is very beneficial to construct this piece with a mandrel bend*. 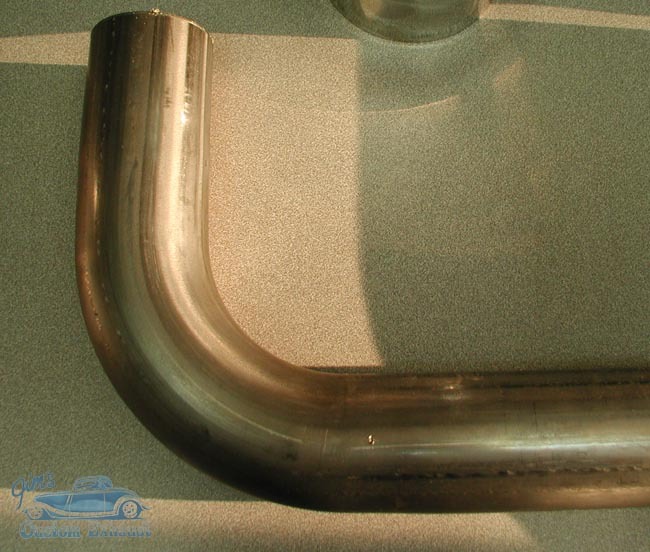 In addition, the other important part of the downpipe is the flex section. This part is needed because our transverse mounted engine will twist forward and back as it revs. The flex section allows the engine to move but isolates and protects the rest of the exhaust from this motion. The Cat: This component is required by law when operating your vehicle on any public street. It's purpose is to reduce the emissions from your engine. Unfortunately, it is also restrictive and therefore reduces your available power. There are after market so called 'high flow' cats but track results indicate that they are still power robbers. IMPORTANT: your exhaust shop cannot legally build you an exhaust system that does not include a cat. The potential fines for them and you are very steep so do not ask them to!!! Club DSM Colorado members may obtain more information about ways to get the highest performance at the track by contacting our technical staff and requesting document R3-Aux. OPTIONS: For this component, you basically have two options; either use the stock cat or purchase a 3" high flow cat. Rear pipe, Muffler, and Tip This section is usually referred to as a 'cat back' system as it's everything after the cat. 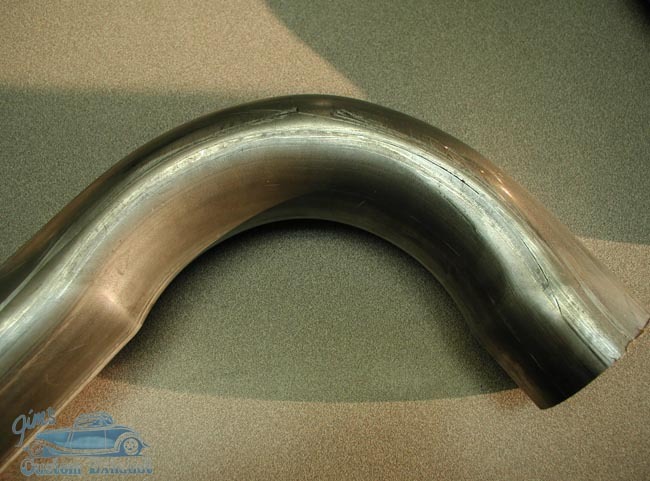 The rear pipe can be much more economically constructed with press bent* piping since the bends are very gentle. The muffler will be the largest source of control on how your exhaust sounds (tone and volume). The more power you create at WOT, the louder your exhaust will be. Since our objective is to improve power as much as possible, we recommend what's called a 'straight through' muffler design which is exactly what it sounds like; no baffles or other restrictions. You can always trade maximum power output for a more restrictive muffler design though which will have the side effect of being quieter. The tip is the final part of your exhaust system. It is really more of an aesthetic preference than anything else. Be aware that the larger your tip, the more ridiculous your car will look to most people. Costs can vary greatly with this component too so you can save yourself quite a bit by going with something a little more subtle.